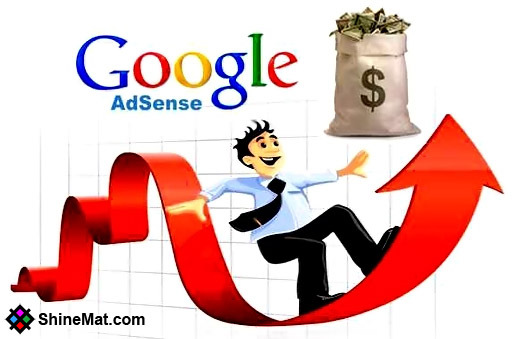 You always want how to make money from home and for this reason you are going to apply Google Adsense to make money from home. You know what; getting approval an adsense account is still very hard. But if you follow some rules and tricks the adsense team will surely approve your applied account. Don't Forget To Read: Why Should Choose Adsense To Make Money Online? Your website or blog design must be clean, good looking and easy to access for visitors. So, install an eye catching theme and customize your other designs matching with your blog theme. You have a good looking blog but if you have not enough posts then your blog value is zero. Always try to keep your blog updated with at least a new post daily. Never apply to Adsense if you have less than 20 posts. Write 30+ quality posts and then try to adsense. This is the easy way to get adsense on blogger. Adsense team consider domain age. The minimum domain age for adsense is SIX months. Remember, this is not only domain age. The six months included with an active site with its domain name. Don’t boost your blog by writing poor contents. Google just hate bad contents and never index them. A quality post is worth a lot. Here quality content meaning is enriched by targeted keywords, proper images or videos, paragraphs, headline titles, LSI keywords and at least 300+ words. Also, the article should be informative and non-copied. YOU SHOULD READ: How To Write Quality Articles? Add a page about yourself, contact information etc. These types of page show you as professional and real. Google loves these pages. Google Search Console is an important section to monitor some internal factors of your blog. Here, you should add your blog’s sitemap to index. After adding your blog to webmaster tool you can monitor your server errors, search analytics, crawl stats etc. READ: How To Submit Sitemap To Google Search Console? If you use any other advertising programs which are not adsense compatible ad networks then stop them before applying to adsense. Because lots of ad networks blocked by adsense. And I think if you will get an adsense account you will never use other ad networks at all. ALSO READ: Which Ad Networks You Can Use With AdSense? I always recommend for this issue. If you can, consider to buy a top level domain name for your blog. When you apply to adsense with your own dot com domain name the adsense team will mark you as serious blogger. READ HERE: The Huge Benefits of Having a Custom Domain Name. Google analytics helps to monitor your overall traffic statistics. Such as: location, real time traffic, referral address and what not. So, it is also important and don’t forget to link your blog or website to Google analytics. Never add any pornographic or adult contents in your blog. If your blog contains adult contents, Adsense team will surely not approve your application. In order to participate in Adsene program you must be 18 years old. Don’t take it lightly, because adsense will make it sure while paid to you. Organic traffic means those traffic which comes from search engines. So, it is very important to drive your blog traffic from major search engines. Never use paid traffic. To get more organic traffic from search engine you need to apply some SEO techniques. Learn SEO from here. Currently adsense supports several languages. If your blog written by unsupported language which is not listed in adsense language list never try to apply. Your application will be rejected. Google loves fresh and original contents that are completely done by you. Never publish anyone’s blog post. It will destroy your blog career. Always try to publish what you actually know. SEE HERE: Tips For Finding Blog Post Topics. Adult content is prohibited by Google and so its links to. Also some harmful links like PTC, Affiliate and bad reputed. Think twice before adding them to your blog. If you need to add, simply add no follow tag to your link. This will tell to Google bot to no follow the link. READ: Why And How to Add Nofollow Tag To A Link For SEO? As I said before Google wants fresh and original contents. So, never apply for adsense if you have some posts published on five or six months ago. Write fresh and new post. Paid traffic hates by Google. Google always loves organic traffic from search engines. If you want paid traffic then make sure your paid traffic goes from reputed websites like Facebook ads, Google Adwords, Stumbleupon ads etc. If Google finds most of time your site’s server goes down and your visitors can’t get your site then Google will down your site to bottom in their results page. So, make sure your hosting service provider is well reputed and have good server uptime. You can check your server status by adding your blog in Google search console. READ HERE: How To Add a Blog To Google Webmaster Tools. Noting is good if you do over and over. This phrase is also workable in SEO term also. Standard SEO is all okay. But over SEO implementing is not good for your blog, this will mark your blog as spam in eyes of search engines. If can’t do it perfectly hire a SEO expert to do this job for you. After all done, you can apply for Adsense account. So, Finally Are You Ready To Apply For Adsense? Read: How To Create An Adsense Account That Surely Approved. That’s all you must consider before applying to Adsense and this is how to approve google adsense account with blogger. I will share some more amazing posts on Google Adsense to make you expert how to make money from home.